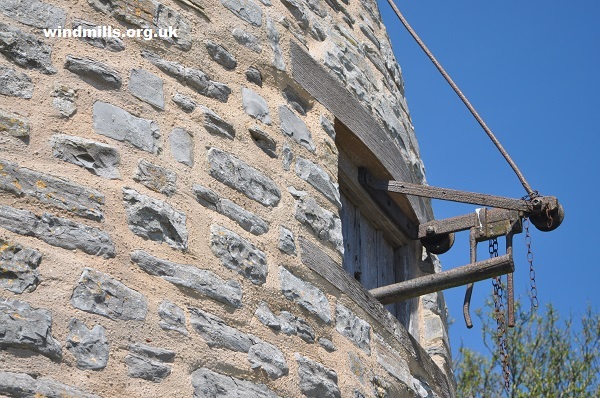 Pictures of Stembridge Tower Mill in High Ham, near Langport, Somerset. 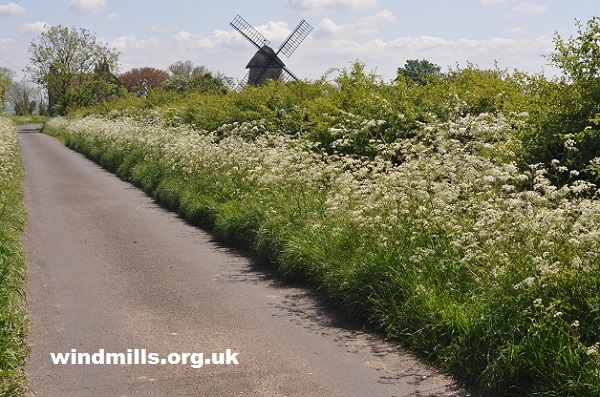 The narrow lane leading up to Stembridge Tower Mill on the edge of the village of High Ham. 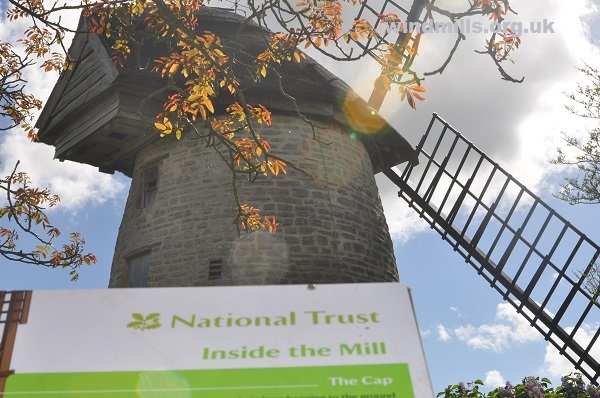 The National Trust information board outside the mill giving details of open days and opening hours. 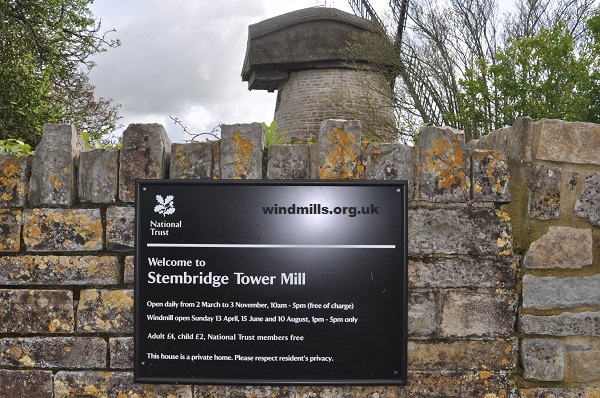 Stembridge Windmill – a tower mill in the care of the National Trust in the village of High Ham in Somerset. 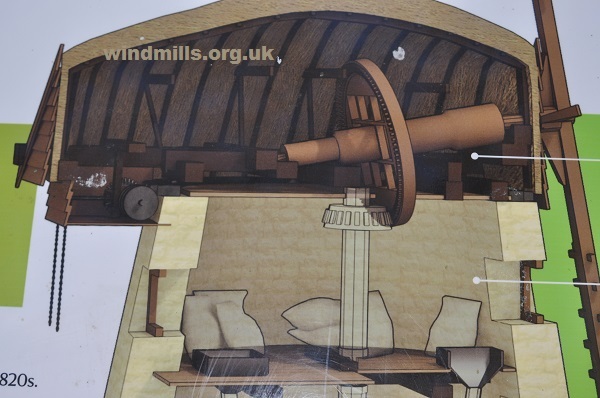 An interior plan of the cap and dust floor of the mill. 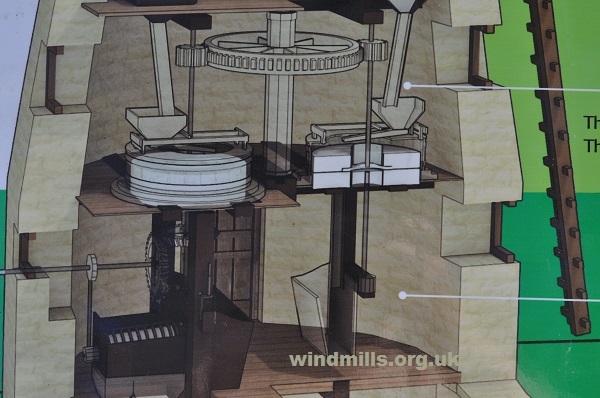 Another diagram of the interior of the mill - the stone floor, which held two pairs of millstones, and the meal floor. 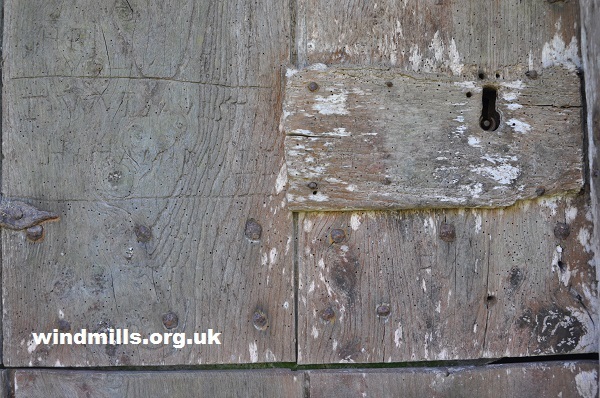 The main door of the mill complete with period graffiti dating back to the 1890s. Note the huge key hole! The wonderfully worn steps of Stembridge Mill, These ancient steps and door lead directly in to the meal floor. The blue lias limestone construction of the mill and shaft to which the steam engine once connected clearly visible. 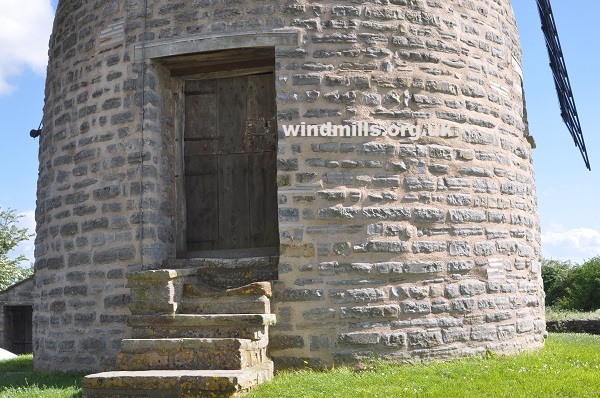 Directions and visitor information for the windmill. 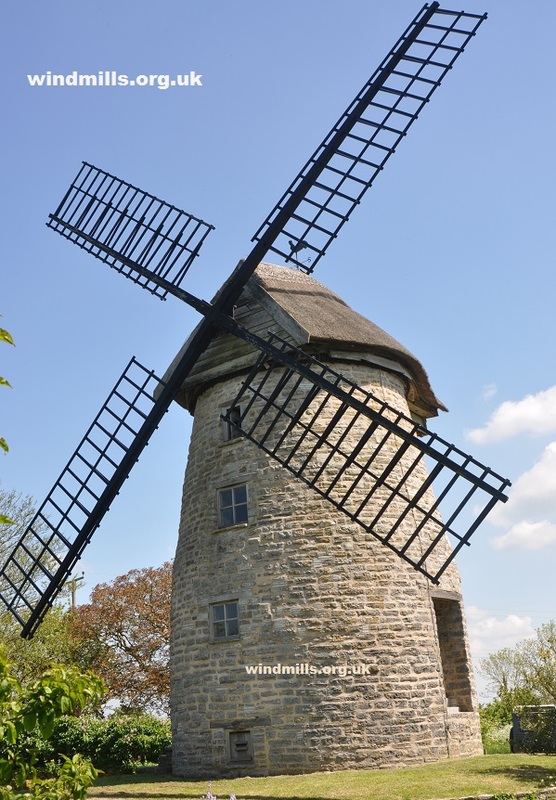 Back to main webpage about Stembridge Tower Mill in High Ham.